So.. the last goodbyes were said after exchanging promises of staying in touch. And today, life begins again in Maximum City. And after having spent a whole year outside, I had to put in something on how others perceive Mumbai and its inhabitants - the Mumbaikars. But first, 2 lines on my immediate reactions. I came in at around 2 am last night, and as has perhaps been written right here in the past, the city was as vibrant as ever. The people at the airport, totally friendly, cabbies, security guards, everyone. And no matter what anyone may say, humid or otherwise, 29 degrees is on any day better than scorching 45 degrees!!! Now, outside Mumbai, and within India, Mumbai evokes totally contrasting reactions. One of awe, like, admiration and aspiration and another of being intimidated, disgusted and overwhelmed. And the former reactions do not emanate from a Mumbaikar, but rather both these sets of reactions come from people who have lived a while in Mumbai. So some, who like a city for its people, find Mumbai immensely friendly. And this I can vouch for myself. People here are friendly. Now, you can't expect Japanese style cordiality or congeniality, but people won't snap at you, or cabbies won't insult you if you ask them to change a route midway. You can count on the person standing next to you to help you with a heavy bag, perhaps even without your asking for assistance if you are female. And as a city, it is very very safe for women, since well, people are much too busy running behind their own lives to actually think lecherously about a woman on the street! And so, some people who like to be left to live their life and make it the way they want to enjoy the city for its 'bindaas' nature. They enjoy the pace, the continuous run to be at the top of your game, and the positive attitude of people towards work and merit. And then there is the other category, who hate Mumbai. All they see are the slums, the congested roads, the traffic snarls, the crowds and so on. They perhaps hail from smaller or more laid back cities and literally get intimidated by the pace and stress on meritocracy in Mumbai. They yearn for the idyllic lifestyle back in their old cities/towns and detest every waking moment in Maximum City, maybe because this stress on Maximum and extremes is a bit tough to handle! And I must admit. 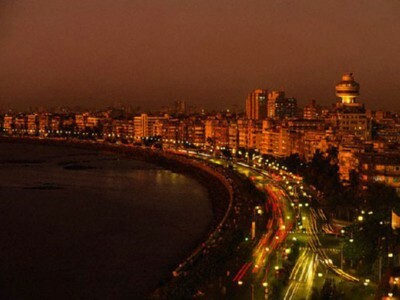 Mumbai is unforgiving in pushing her inhabitants to the extreme. Be it the rents or having to endure the crowds in public transport. Then again, some who come here to follow a dream and believe in the dream real bad, stick it through and once the teething troubles are endured, there comes a point of inflexion, post which they are initiated into the land of the Mumbaiphile, whence there is no return to falling in love with another Indian city. And the former group perceives Mumbaikars as being bindaas, chilled out, fun-loving people, who bear malice towards none. The latter group, though looks at Mumbaikars as being arrogant, headstrong, non-adjusting and to some extent even conceited. I may be wrong in my assessment, but this is a glaring trend that I have perceived in my interactions. Now should a Mumbaikar be perturbed by these perceptions? I guess, given that we are carefree and bindaas, as what we'd like to be known as, the latter perception should perhaps be read in the light of the prejudices of the perceivers themselves and so can maybe be disregarded, after due consideration has been given to the veracity of these perceptions. Are we by any chance too carefree to be perceived as being arrogant? Are we too focused to be perceived as being selfish? Maybe just a reflective thought by the sea side every once in a while, but not before smelling the sweet salty air of the Arabian Sea.